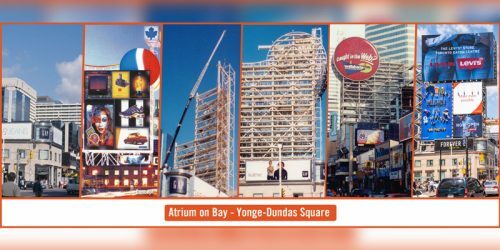 Media company Branded Cities, one of the pioneers of out-of-home (OOH) signage for Toronto’s Yonge-Dundas Square, recently celebrated its 20th anniversary in the advertising industry. 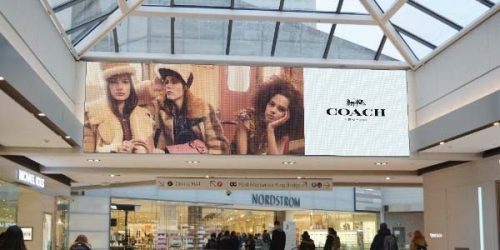 Commercial property manager Cadillac Fairview (CF) and out-of-home (OOH) advertising firm Branded Cities have rolled out new digital signage assets at two shopping malls, Ottawa’s Rideau Centre and Calgary’s Chinook Centre. 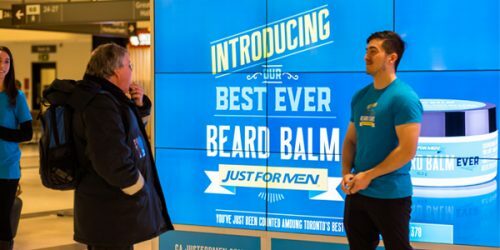 Branded Cities recently ran a digital out-of-home (DOOH) advertising campaign for Just For Men beard care products at Toronto’s Union Station, integrating facial-hair-recognition camera technology from Big Digital into an interactive display. 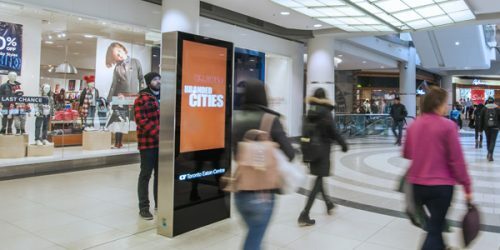 Out-of-home (OOH) advertising firm Branded Cities has begun rolling out a new network of 15 digital directories for Cadillac Fairview (CF) in Canada’s busiest shopping mall, the Toronto Eaton Centre.